Jay Heaps has a tough job. The former player turned coach is now in the process of righting the ship that’s lost its way in New England. 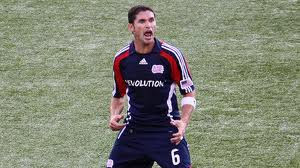 A lot has been made of the Revolution’s choice to hire Heaps, whether it’s support for someone who knows the organization or criticism at his lack of experience. Molded by some of the best coaches in all of sports, he has some fantastic experiences to draw on. Still, Heaps has heard all the criticisms and has a plan to create a culture of winning that the Revolution have lacked in recent years. 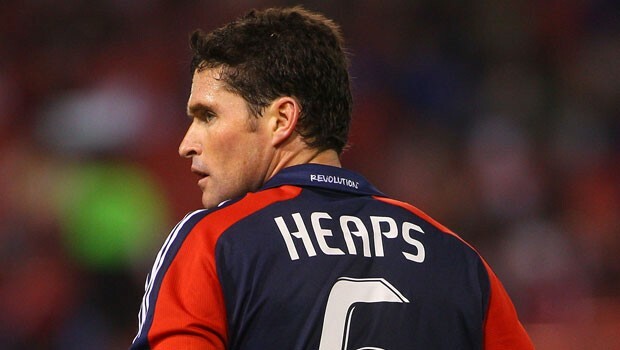 Jay Heaps wants to bring the Revolution into the 21st century of soccer and back to the MLS elite. He’s got an impressive plan to make it happen. 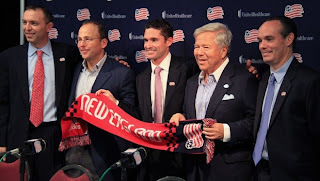 Read on to find out how he found himself in charge of his former club, who he’s turned to for support and how he’s going remind the league that the Revolution are a club to be respected. MLS Reserves: Can you start off by talking a bit about how your life has been since you took over as head coach? MLS Reserves: How did the change come about? That is to say, who approached who? MLS Reserves: You’re now joining a group of young coaches who have entered the league with little to no experience. Have you spoken to or headed advice from others who were in your role like Jason Kreis or Ben Olsen? For those who don't know, in addition to being a stand out player for the Duke Soccer Team, Heaps also played basketball, under one of the well known coach Mike Krzyzewski. MLS Reserves: You’ve played under one of the most respected coaches in all of sports with Coach K. How has his leadership as well as Stevie Nicol’s affected you and how much does it influence your intended coaching style? MLS Reserves: How will you distinguish yourself from Nicol? MLS Reserves: How have you gone about selecting assistant coaches and do you have any already in place? MLS Reserves: You’ve played with some of the players you’ll now be coaching. Now, you’re the one deciding who gets time and who doesn’t. How will you keep the respect of those players that are not used to seeing you in that coaching role? 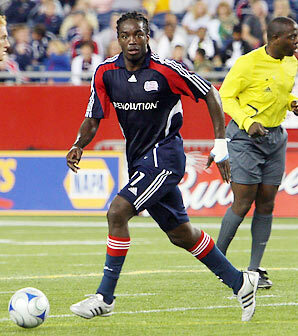 MLS Reserves: Shalrie Joseph was just awarded a Designated Player contract. How involved with that decision were you? And was his age a factor in the decision? MLS Reserves: It’s been said by players and media around the league that New England has been a “cheap” team financially in recent years. What are your thoughts on that? MLS Reserves: What steps are you actively looking to right the ship that is New England? You’ve talked technology, you’ve talked strength and condition and you’ve talked players. Is there anything else you’re doing that you haven’t mentioned or people don’t know? Jay Heaps is dedicated to making New England great. What is perhaps most evident in talking to Coach Heaps is that he’s extremely passionate about the club. Success is something he feels should be earned and is going to give the players the right tools to do just that. Moreover he seems to have found himself in a position where he’ll have the financial support to do so. That in and of itself is a fantastic step in the right direction. The Revolution were once a proud and respected franchise. Of late they’ve fallen from grace. Initial concerns about whether Jay Heaps was the man to lead them back to the promise land can be tempered by just how professionally he is approaching the position. The recognition that he’ll need help along the way and that he’s open minded will be welcome news to New England fans. 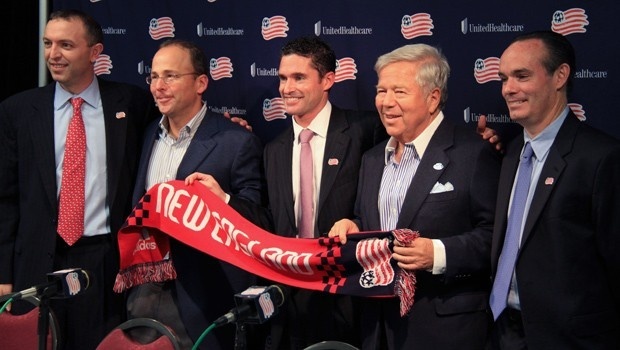 It’s typically a long road back and the recipe for success in MLS usually takes three years. That said, if we see a steady improvement over previous years, then you can count his stint as a success. He wont though. Jay Heaps wants one thing above all else: to win. I expect this club to make the playoffs next season. Anything less then that will be disappointing with 5 teams going. I think Jay Heaps will do a great job and I'm super excited about what financial moves the team will be making soon. It's also interesting that the Kraft's are paying some of Joseph's salary. Stage 2 is in only 2 days! Lets get the ship rolling and get back to the promise land!